CHICAGO (WLS) -- Pope Francis will come to America for the first time next week, and Eyewitness News will be with him for this historic trip. Chicago Archbishop Blase Cupich will not be meeting with the pope because has a sudden family matter he needs to attend to. 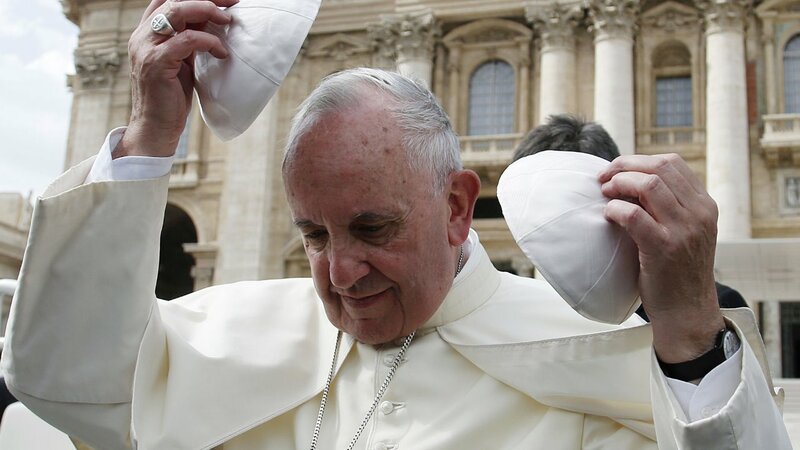 Pope Francis will stop first in Cuba this weekend. This is the third time a pope will visit Cuba in the past 15 years. Pope John Paul II and Benedict the XVI also came here, but it's Francis who played the key role in reopening diplomatic relations between Cuba and the United States. On Tuesday, Pope Francis lands in the United States for the first time. He'll be greeted by President Obama, the first lady and their children at Andrews Air Force Base. The next day, Wednesday, is the official welcoming ceremony at the White House and a private meeting with the president. Afterward, he meets with U.S. bishops - hundreds of them - at St. Matthew Cathedral. And finally, a papal mass at the Basilica of the National Shrine of the Immaculate Conception - where the pope will name Junipero Serra, a Spanish Catholic missionary to America, a saint. On Thursday, the pope speaks to Congress in the morning and blesses the crowd expected to gather, outside the Capitol building, on the National Mall. Then, he takes the one hour flight to New York City. He'll take the Popemobile through part of Manhattan. On Friday morning, the pope addresses the United Nations and will visit ground zero for an inter-religious ceremony, meets the children of immigrants in East Harlem and holds a mass in Madison Square Garden in the evening. On Saturday, Pope Francis takes the short flight to Philadelphia, where the Catholic World Meeting of Families is taking place, the main reason he came on this trip to begin with. He'll take part in a freedom of religion ceremony at Independence Mall by the Liberty Bell, and finish the day with an outdoor prayer service - vespers - on the Benjamin Franklin Parkway. On Sunday, he'll travel by helicopter to visit inmates at a prison in northeast Philadelphia, then return to Center City Philly for the huge mass on the Benjamin Franklin Parkway. Vice President Joe Biden and family are expected to see him off at the airport for the pope's trip back to Rome.